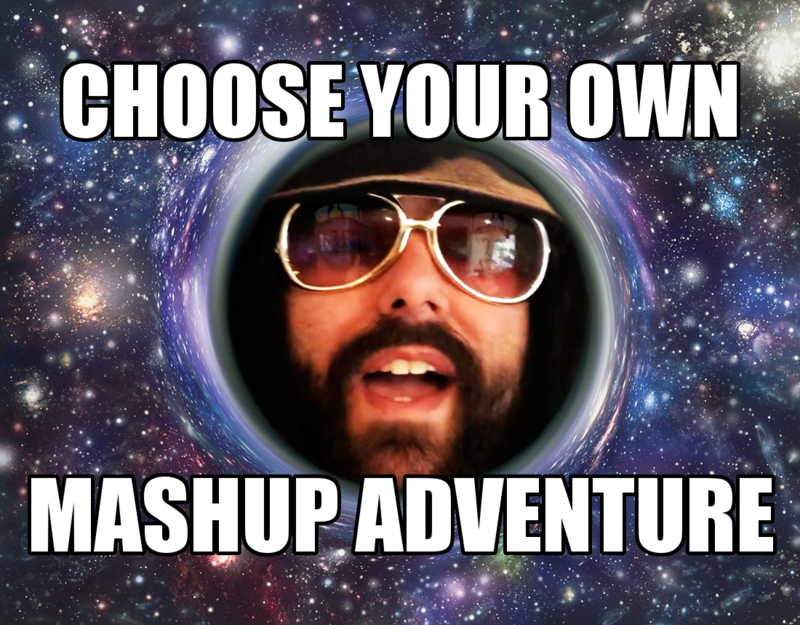 It’s not every day that something comes along in the mashup world to shake things up to the next level. 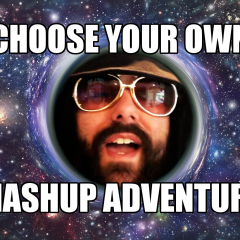 But today, DJ Cummerbund dropped “Choose Your Own Mashup Adventure” on YouTube – and for the mashup scene, it’s truly game-changing. 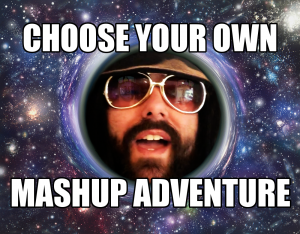 Taking obvious inspiration from the recent Black Mirror: Bandersnatch on Netflix, it also proves that “Boogie Wonderland” by Earth, Wind & Fire really DOES seem to mash up with everything! This sort of interactive mix-and-match mashup thing has been done before, most notably on The Magic iPod website (where it’s 2007 forever!) and during Evolution Control Committee’s “Wheel of Mashup” sets, performed live at Bootie Mashup parties back in 2006. But here, DJ Cummerbund brings it all into the YouTube era, and it’s likely the first of many more mashup videos like this to come.